The new year is upon us. I'm not much for new year's resolutions but I'm making an exception this time. With the large number of disappointing or just plain broken releases this year I think it's time I spoke up a bit. I'm not the first to tread these waters but I think it is important for everyone to voice their disappointment and outrage over the unacceptable behavior of some of the biggest parts of our industry. I have only one resolution this year, but I hope it's one that catches on. No More Pre-orders: There were some truly terrible launches this year. 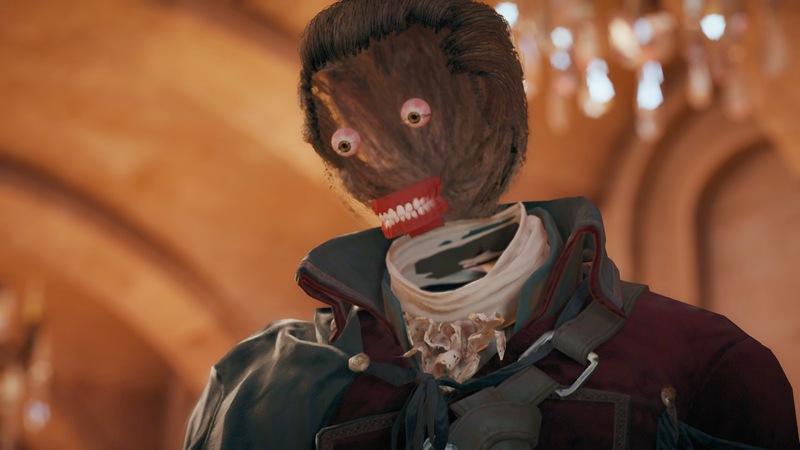 Assassin's Creed Unity may have become the poster child for broken games, but there are plenty more that deserve a bit of the spotlight. While Battlefield 4 launched in October of last year, players are still dealing with serious issues. Due to a server issue, the latest DLC maps pack was unplayable unless purchased as part of the Battlefield Premium service. The Master Chief Collection launched with horrible multiplayer issues, rendering a large part of the experience unplayable. Driveclub was delayed several times and still experienced game-breaking problems on launch day. Destiny promised so much but delivered very little content (though it was still enjoyable) and then made much of that content obsolete with the release of its first downloadable expansion and a pre-release update to the games higher end gear, effectively slapping the games most devoted players in the face. Buying games before they are available or even playable is a bad habit that most of us should break. It just doesn't make sense to buy these things before we can say for certain that they will even function. We keep gambling our money away on these things only to have our good faith callously ignored or irrelevant with a sloppy launch. No one deserves to wait in line for a game broken game. I for one, will not give my money so freely anymore. From here on out, I wait until after launch. The staggering and awful treatment of these games' consumers is is almost as bad as their bungled launches. Ubisoft released a broken game that could not be returned. DICE still hasn't fixed their more than one year old game which is part of their flagship series. If they can't give enough shits to clean up these messes, I can't begin to trust them enough to give them my money before I can see the quality of the finished goods. What should bother consumers most about these releases is the false indignation exhibited by the games' creators. To claim that they all had no idea they were shipping games of such poor quality is an insult to their fans. If we are to accept that as truth, then we must assume that these companies have sub-par or under staffed testing groups. What is more likely? That huge publishers like Ubisoft and EA have employed largely unqualified amateurs or that these publishers are concerned less with the quality of the product than the profit they can make from it? We can make an impact, but it has to be made where they will actually take notice. Don't give them your money on faith. If this last year has taught us anything, it is that many AAA publishers are undeserving of our trust.